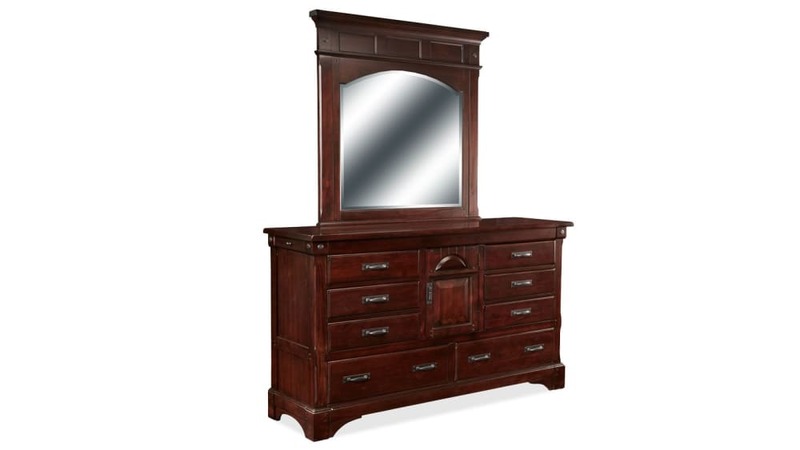 Warm and elegant, this Hidalgo king bedroom set instantly creates a cozier look for your space. Every piece in this set features 100 percent solid wood construction, guaranteeing quality and a beautiful style. Featuring a traditional design, this set has a rich finish and graceful details to bring your bedroom to life. 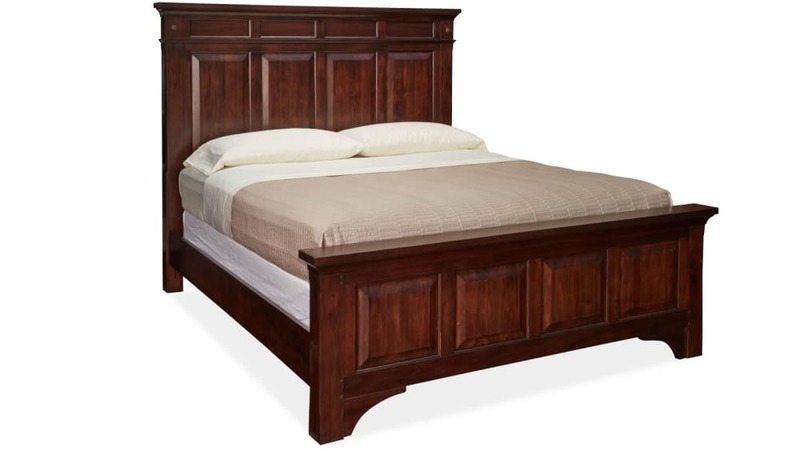 The bed features a large headboard and footboard, and these demand attention as soon as you walk into the room. A perfectly sized nightstand allows you to keep essentials like a glass of water or lighting within arm's reach during the night. Last, but certainly not least, a stunning dresser offers ample storage space to organize your wardrobe, as well as a large mirror to help you get ready in the morning. This gorgeous set boasts 100% solid wood construction to bring long-lasting style and quality into the bedroom. 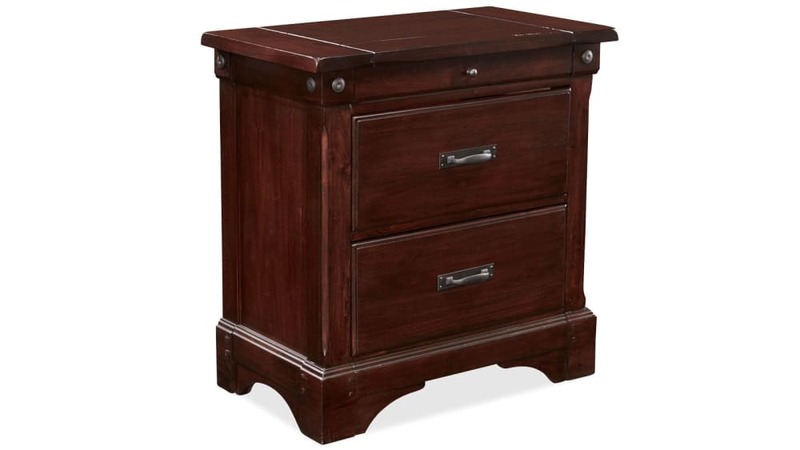 Nightstand has two large drawers and pull-out drink plate to keep personal items conveniently within arms reach. 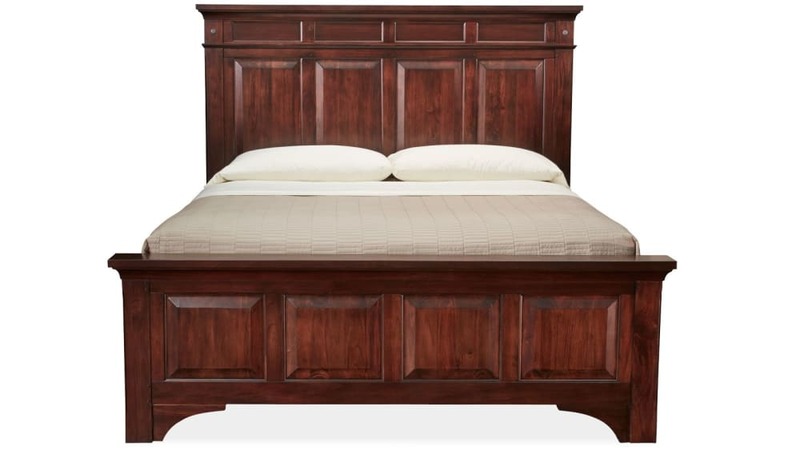 King-sized bed has substantial head and foot boards that provide an anchor for this showpiece. Felt-lined top drawers offer the perfect place to store accessories. Burnished gray metal hardware completes the look of this stunning bedroom. 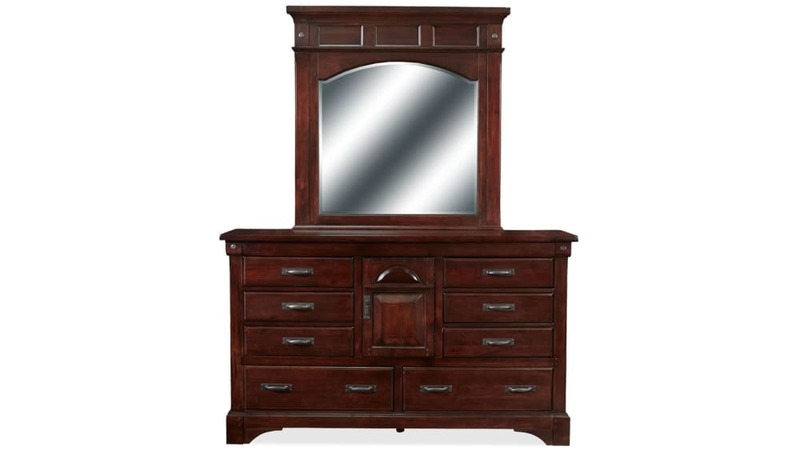 This traditional set provides the bedroom essentials: a king bed, dresser with mirror and a nightstand. Simply add accessories and decor to complete the look. 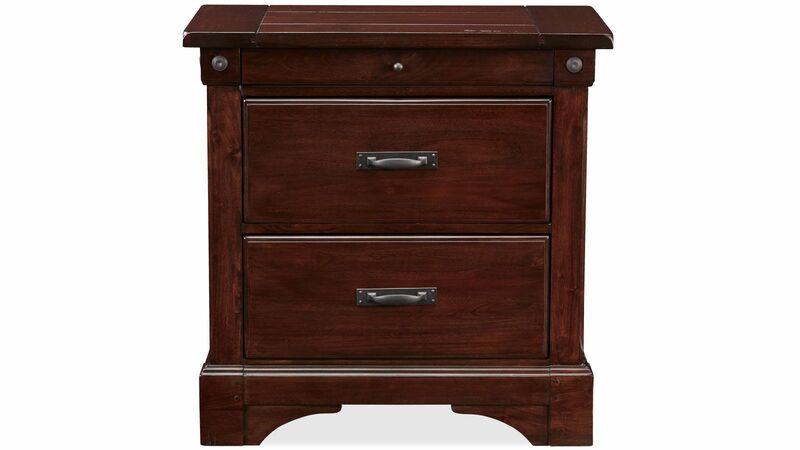 Note: chest of drawers pictured is available separately, but is not included in this set. AAmerica® is well-known across the USA for creating solid wood furniture that lasts. These unique features make AAmerica® bedroom furniture stand out from the rest. 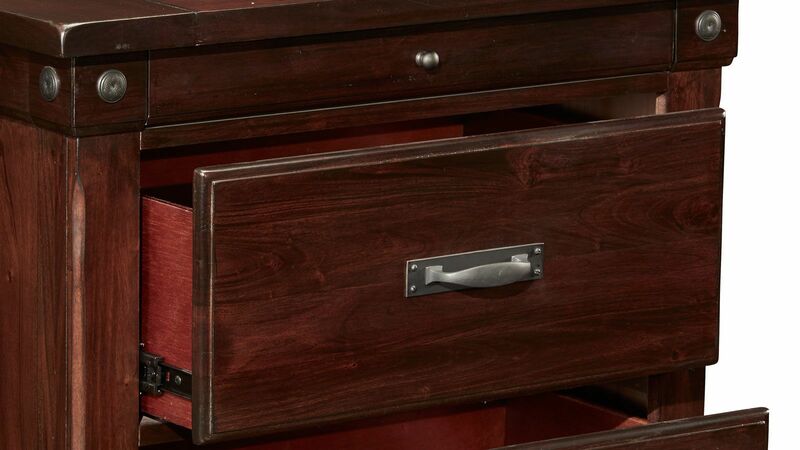 Finished interior drawers stay smooth to prevent snags when storing clothes. 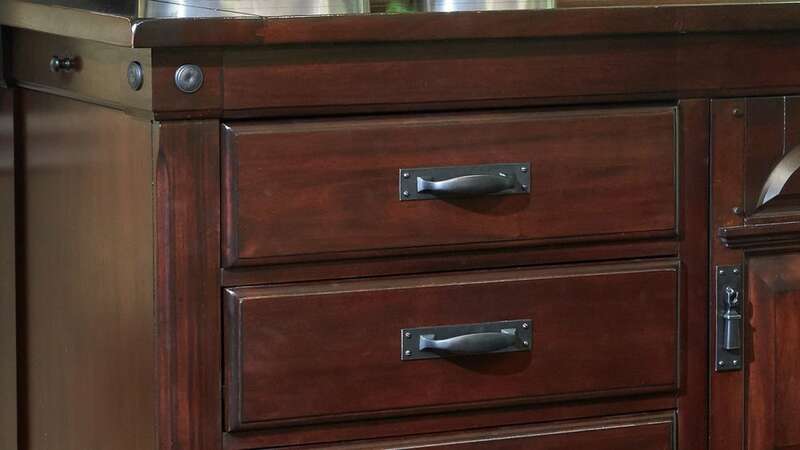 Full-extension bearing glides on drawers make it easy for you to open and close them. 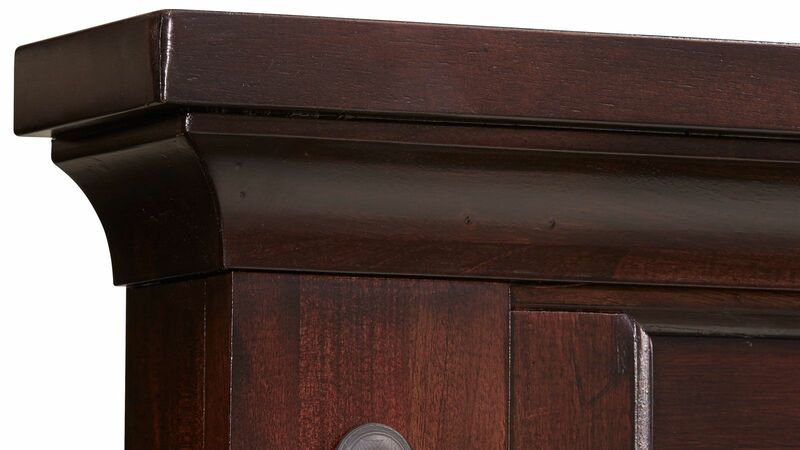 English dovetailed drawer construction remains tight even after frequent use of drawers. Turn your bedroom into a stylish sanctuary with this traditional king bedroom set that will beautify your space. With Gallery Furniture's same-day delivery, you can design the bedroom you've always wanted as soon as TODAY.